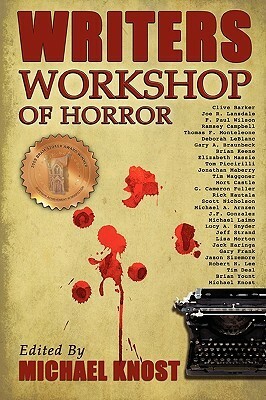 Writers Workshop of Horror is a fabulous book complied by editor Michael Knost who brings authors together to talk about what works for them in certain areas of the writing craft. Authors like Tom Piccirilli, Johnathan Maberry, Tim Waggoner, Joe R. Lansdale, and Brain Keene. Not a horror writer? No problem. That’s the best part about the book. The topics talked about in this book work for any genre from romance to steampunk. Just a few topics discussed are; Point of View, Dialogue, Manuscript Formatting, and Ten Submission Flaws that Drive Editors Nuts. After reading this book, I felt like I’d been apart of a whole weekend of writer workshops instead of at home reading a book about writing. Each topic has a unique and individualized approach that makes it fun to read as well as informative. This is a must have book for aspiring writers.